Invoicing is one of the most important and time-consuming tasks for education businesses. Finding ways to manage the invoicing process efficiently can help to shave hours off your workweek and give you more time to focus on other areas of your business. Teachworks offers a number of invoicing solutions that can help you save time and reduce headaches. Before diving in, it’s important to first be aware of the different billing methods available in Teachworks. Billing methods are recorded directly on student profiles and it’s essential to make sure that the settings are correct for each student as this will ensure accurate invoices every time. Use Service List Price – This billing method uses the Service List’s settings to calculate the lesson cost for students. Use Student Profile Price – This option allows you to record an hourly lesson cost directly on student profiles. This cost will be applied to each lesson that’s scheduled for the student, regardless of the service that’s assigned to the lesson. Package Billing Method – This option is useful for companies that want to charge their clients upfront for a package of lessons/hours that can be used over an undefined period of time. 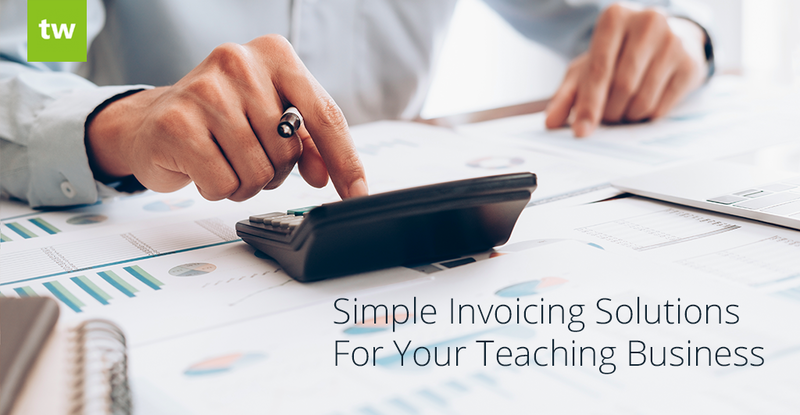 Customers are charged through a package invoice, so choosing this option will automatically set the lesson cost to 0 for a student’s individual lessons (this helps to ensure that the customer is not accidentally billed twice). Flat Fee Billing Method – This billing method is useful for companies that want to charge a flat rate regardless of the number of lessons taken over a period of time. Since your customers will be charged a flat fee, the lesson cost for their individual lessons will automatically be set to 0 to avoid any accidental double billing. This invoicing option is ideal for quickly creating a single invoice for one of your customers. If you’re using package billing for your teaching company, you may use this feature fairly often. Customer package balances typically reduce at different rates, so you will need to generate additional package invoices at different times for different customers. To create a single invoice, go to Billing > Create Single Invoice and complete all the fields as needed. Invoices can include charges, packages or individual lessons. Charges: If you’re using Flat Fee billing, you would use this option. It’s also useful for adding additional fees to invoices (such as registration fees or fees for items). 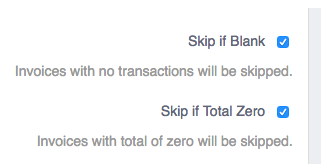 Packages: If you’re using Package Billing, you would use this option. On the invoice you can specify the number of package lessons/hours that you’d like to add to a client’s package. Individual Lessons: If you charge your customers for individual lessons, you would choose this option. 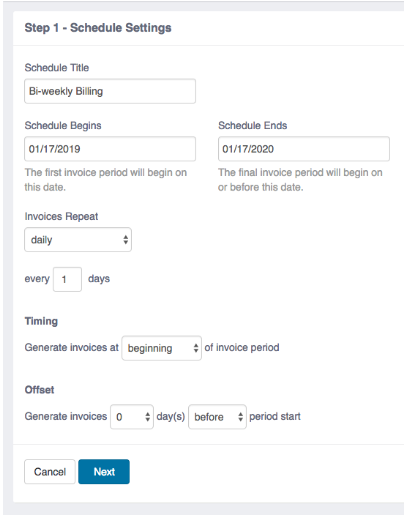 Once selected, you can choose a date range and all the uninvoiced lessons in the calendar that occur during this date range will be added to the invoice. The ability to create multiple invoices at once is a great time-saver for companies that invoice their clients at the same time each month. The feature allows you to select multiple customers and invoice settings and these settings are used to generate an invoice for each respective customer. In other words, you can create hundreds of invoices while only going through the process once. 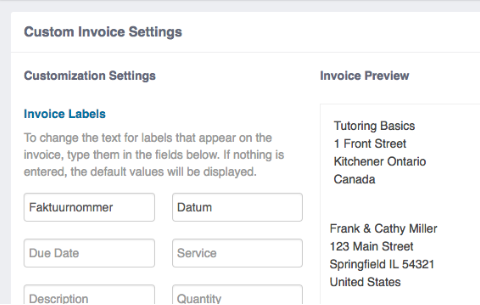 To create multiple invoices, go to Billing > Create Multiple Invoices. On this page, you can choose specific customers or you can add all of your customers by simply clicking the “Select All” link below the “Customers” field. The options are enabled by default and ensures that blank invoices are not generated by accident. **Note: If you choose the “Lessons by Date” option, no lessons will appear on the screen. It’s important to remember that you are choosing settings to create invoices for multiple customers at once, so the individual lessons can’t be added to the screen you’re working on. However, as soon as the invoices are generated, each customer’s invoice will be populated with their individual lessons for the selected date range. 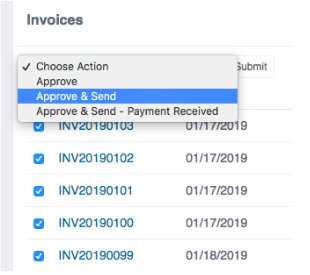 Our Invoice Autopilot Add-On allows you to completely automate invoicing by creating an invoice schedule that generates invoices automatically in the background. Whether you generate 10 or 10 000 invoices at a time, the amount of time and labour spent on invoicing will be the same. The feature comes with a number of customizable settings to accommodate your unique billing requirements. You can adjust several invoice settings to fit your company’s needs by going to Account & Settings > Account Settings > Invoice Settings. Invoice Prefix – These are the letters that are added to the beginning of the invoice number. Default Sales Tax Rate – This is the default tax percentage that will be applied to your invoices (this can be changed when creating the invoice). Default Tax Treatment – This setting determines how your invoices will calculate tax by default. You can choose between tax inclusive (tax is included in the invoice total), tax exclusive (tax is added to the invoice total) and tax exempt (no tax is applied to the invoice). This can also be updated when generating invoices. Invoice Instructions – these are the default instructions/terms that will appear on invoices. You can easily update this when creating invoices. 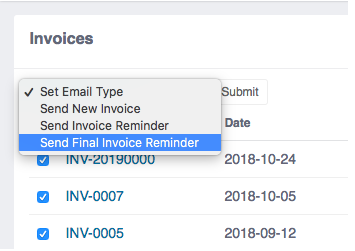 Teachworks also offers an automatic Invoice Due reminder. If you’ve enabled this option, an email will be sent automatically to customers as soon as their invoice becomes due. Like most notification emails in Teachworks, the Invoice Due Reminder email template is fully customizable. To start customizing, go to Account & Settings > Notification Templates > Invoice Reminder > Edit and apply your changes. Sometimes one email template just isn’t enough, which is why we’ve added the option to save and manage multiple invoice email templates. These can be used when sending your customers invoices through email. If you invoice clients for individual lessons, and changes are made to lessons included on the invoice, the invoice will automatically be flagged (provided that the changes affect the invoice total). 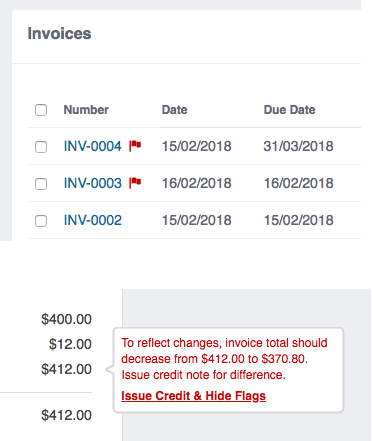 The Invoice Flags feature allows you to quickly take action and account for the changes by simply clicking the flag and following the prompts. In addition to time-saving invoice generating features and customizable invoice emails, we’ve also added the option to customize the invoices that you send to your customers. Our Custom Invoices Add-On lets you change the labels that appear on invoices as well as the general layout of invoices. A preview is included on the page to make it easy to see how your changes affect the look of your invoices. The ability to update the labels that appear on the invoice makes it perfect for companies that want to translate the invoices they send to their customers.